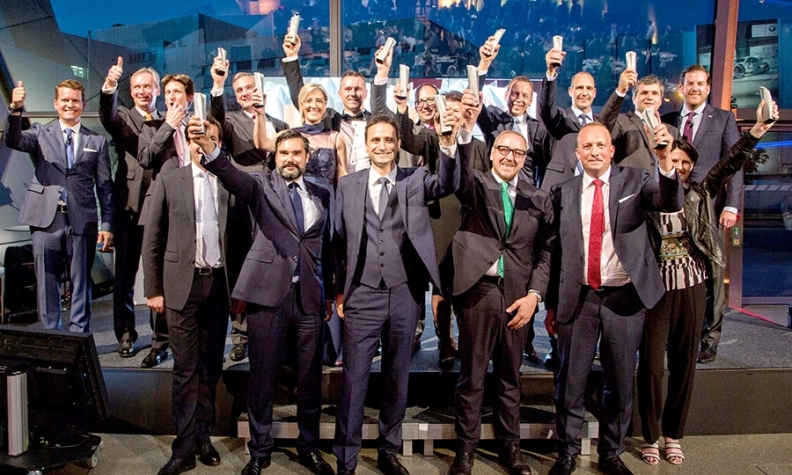 MUNICH – Fifteen young and talented automotive executives have been honored as Rising Stars within the automotive industry by Automotive News Europe. A gala ceremony to celebrate the 2016 Rising Stars winners took place at BMW Welt in Munich on Tuesday evening. The sixth annual Rising Stars awards recognize fast-climbing auto leaders who are already taking big steps forward in the industry. From automakers to suppliers, manufacturing to connected cars, engineering to purchasing, each Rising Star has spearheaded change and made progress up the career ladder. "These 15 individuals stand out because they have the motivation and capability to be the industry’s top leaders of tomorrow. We have seen our past winners take giant steps forward in their automotive careers. We expect nothing less from this year’s Rising Stars award recipients," Automotive News Europe Editor Luca Ciferri said. The 2016 Rising Stars winners.